MOVE-IN READY!!! Exquisite home built in 2016 with a split floor plan and tile in all the main living areas. The gourmet kitchen features dual ovens, stainless steel appliances, and beautiful quartz countertops. The kitchen opens up into a spacious dining and living room perfect for entertaining guests. The home also has an extra room which can be used for a home office. Master bath features dual sinks, separate shower/tub, and a walk-in closet. This home features a fully landscaped lot that looks great and is easy to maintain. 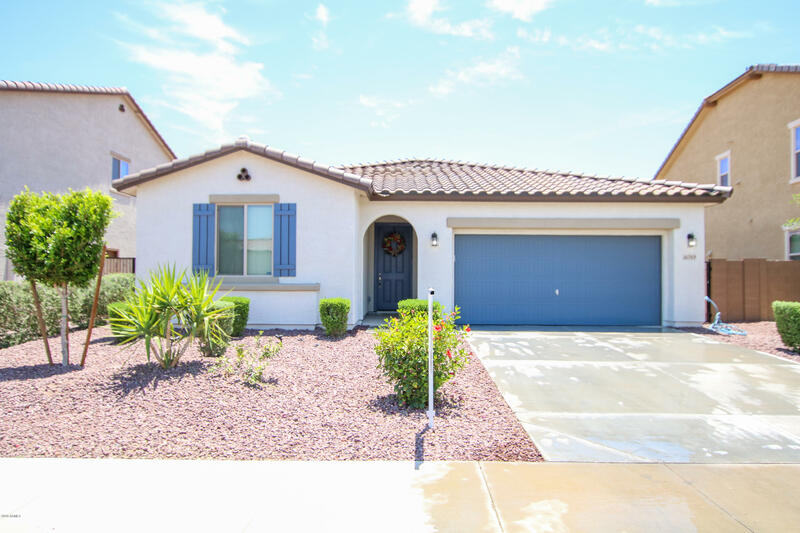 The property is located within walking distance to the community's school and is close to shopping, dining, sports entertainment, and freeway access.